FAIRFIELD — What once served as the dispatch center for General Electric’s former headquarters could become the combined center for Fairfield and Westport emergency services. For $80,000 the two towns have hired a consultant, Virginia-based Federal Engineering, to provide them with recommendations on whether a combined center makes sense and if so, how would it be run. MacNamara said he expects it would take about three months for the consultant to complete the study. Both towns have contributed $40,000 each for the study, which is expected to get underway next month. “It’s such an expansive entity, you really need experts to help with the analysis,” he said. Sacred Heart University now owns the GE campus on Easton Turnpike, and town officials said the college would provide the space at no cost. Should the two towns combine their dispatching, Bucherati said they can then build a new and completely different communications system or join the state’s communication system, which would be less costly. “It’s really two separate projects you have,” he said, consolidating the people being one, and the system ultimately used as the second. The combined center is expected to save money in the long run, especially if the state’s communications system is used, and Bucherati stressed that it would not simply be two towns working out of the same space. “It’s not a co-habitation,” he said. All 911 calls from both towns would be made to that center, and those calls would be answered by any one of the employees. If the plans come to fruition, it might be among the first in the state, according to MacNamara, although there are some communities which use a non-profit company to handle dispatching duties. Northwest Public Safety has been providing a regional 911 center for 39 years. It dispatches the Waterbury and Middlebury police calls, provides dispatching for 12 fire departments, many of them volunteer fire companies, and provides CMED — Coordinated Medical Emergency Direction — for 28 municipalities. Participating communities pay for the service based on their population. 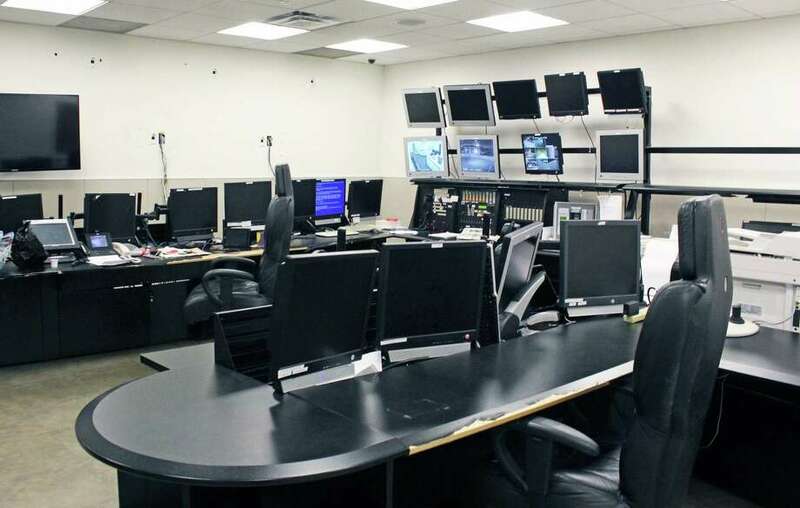 Whether or not the towns combine, MacNamara said, Fairfield has to do something about relocating its dispatch center from the basement of police headquarters. While Fairfield had been looking at options for a new location, Westport was discussing combining its police and fire dispatching, for which it would need a new location. Fairfield combined its dispatching about two decades ago. The 5,000-square-foot space provides two large rooms, one already outfitted with computers and video screens, a small office area, a locker room, and small kitchen. Finance board member James Walsh was concerned the state could say no to the combined center, and instead make Fairfield join into a different dispatch center. MacNamara doesn’t think that is likely. He said the state’s discussion of combined centers has focused on communities with lower populations. “We have had preliminary discussions with the state,” he said. “They like the location, and the like they concept of combining, and regionalization.” If two towns like Fairfield and Westport can do that successfully, MacNamara said, it helps the state’s argument for regionalization.